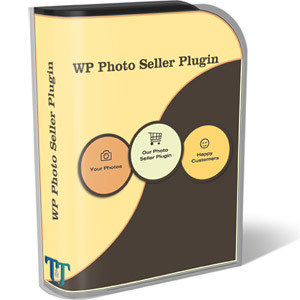 WordPress Photo Seller Plugin is a shopping cart designed and built to meet the needs of photographers. If you are a photographer or hobbyist and want to sell photos, prints, images online then this plugin is an essential tool for you. 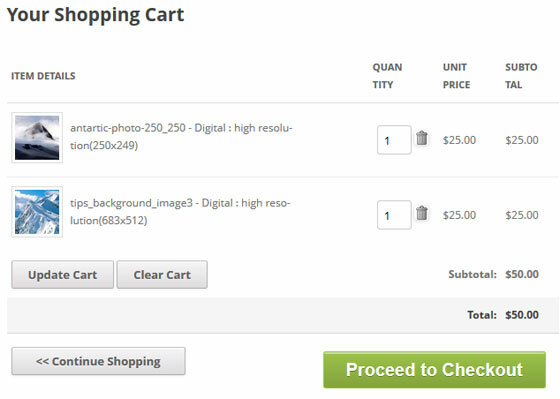 When you try to sell photos using a generic shopping cart, it doesn’t work out very well most of the time. We are going to address that issue with this plugin. 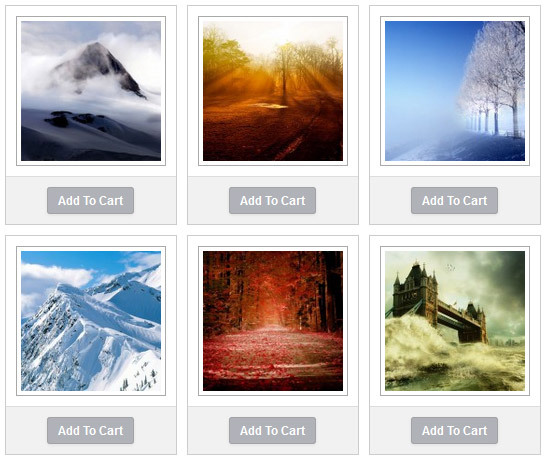 WP Photo Seller plugin will be very useful to graphics designers and visual artists. It is also perfect for event photographers who want to showcase the photos from weddings, sports, parties etc. Easy installation and setup – it takes minutes to be up and running live with your online photography store. Sell photo prints directly from your WordPress site (cut out the middle man). Create an unlimited number of reprint size options that your customers can choose from. Ship the prints after an order comes in. Sell your photos as digital downloads directly from your WordPress site (no need to use a 3rd party site). Sell digital photos in various dimensions or sizes (the plugin will automatically deliver a re-sized version of the image to the customer after purchase). Automatically watermark your photos in the gallery to protect your images. Customers will receive a watermark-free image after the purchase. You can enable the zoom option on your photos so the customers can inspect the images closely before purchasing. Automatic and secure delivery of your digital photographs to your customers via encrypted download links. Customers can instantly download the image files after payment. Sell your images/photos securely via PayPal (your customers can pay via credit card or their PayPal account). You can sell your images via offline payment methods also. Your customers can pay via cheque, bank transfer, cash etc. Easy uploading of images using the native WordPress media manager. Create photo galleries quickly by bulk uploading your images. Edit your photos from the WordPress admin dashboard. You can crop, rotate, flip and scale your images after you upload them. You can group/categorize your photo galleries into photo albums. This can be very helpful if you have a lot of photo galleries. Create unlimited price lists with size variations. You can then apply the price list(s) to your galleries. You can also create variations with different prices for digital images and physical prints. You can password protect your galleries so only certain users with the password can view and buy images from that gallery. You can optionally enable the copy protection feature which will disable the ability to select text and right click on your website’s front-end. Keep track of all your sales in the orders menu of the plugin. You can search orders using a customer’s email address or transaction ID. Allow your customers to search your images so they can find it easily and buy it. Very helpful when you are selling lots of images. Ability to offer discounts/promotions using the discount coupon functionality. Use it to allow your customers to buy photos at a discount. You can attach and deliver additional files (example: a zip file) with the photos. This is very useful if you need to deliver additional files with the purchase of a photo. So for example, if you want to deliver the PSD source file when someone purchase a photo, you can do that. You can bulk import images and photos from a zip file to create your photo gallery and sell those images. Ability to specify a sorting order for the galleries and the images. You can sort images by ID or upload date. Ability to add a Facebook like for your images in the photo details page (allows your users to like your photos). The site admin can re-generate download links manually for a digital photo/image and send it to the buyer. Ability to allow the image prints to be picked up from your store. This is helpful if you have a physical store and you want to offer a store pickup option. Ability to use an image or logo for the watermark of your gallery photos. This is a great way to brand your preview photos. You can create image sliders using your gallery photos. Your visitors will be able to click on an image from the slider to purchase that image. Ability to automatically add your customers to your autoresponder list (MailChimp, GetResponse, AWeber) for email marketing purpose. Can be integrated with the WordPress Affiliate Software Plugin. So if you decide to boost your photo sales by introducing an Affiliate Program later then you just have to activate the affiliate plugin. Photo Seller plugin works with https pages out of the box (useful if you are using an SSL certificate on your website). Tired of listening to fake support promises? Check out our customer only forum to see how we handle product related issues (usually within 24 hours). Our support forum is moderated by the developers who created the plugin(s). Click on the live demo button below to see how the plugin works. You can also watch these set of video tutorials to see how this plugin works. You create a gallery and upload photos for that gallery. 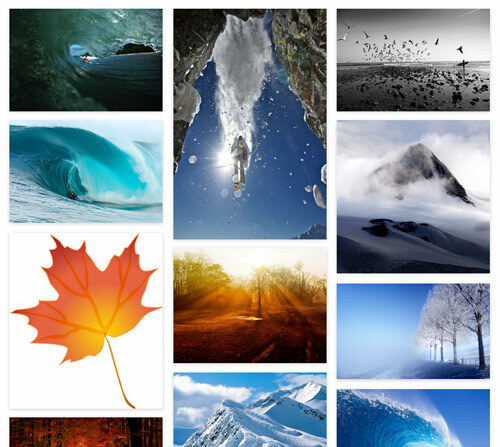 All the photo galleries are displayed in a grid view for your users to browse. When a user clicks on a gallery, all the photos for that gallery is shown to the user. 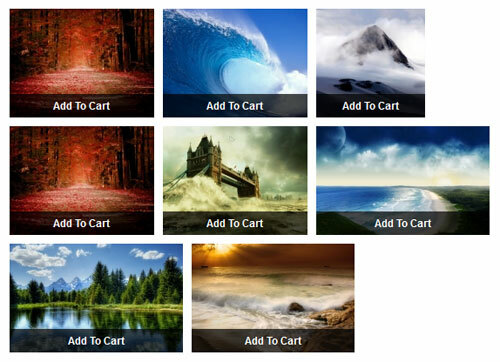 The users can purchase photos selectively by clicking on the add to cart buttons. 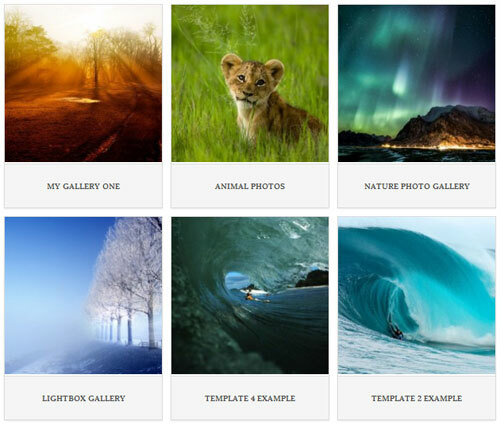 Below is an example of a Masonry style gallery that you can create with this plugin. Your visitors will be able to click on an image to buy it. The photos get added to the shopping cart. Your users can review the items in the cart and checkout via PayPal. Create a stock photo selling site. You can sell various dimensions or sizes of the same digital photo simply by setting the ratio and the plugin will resize and deliver the files automatically when a customer orders it. As an event or wedding photographer you can showcase the photos of your clients on your site. They can visit your site and order their photos. If you are a landscape photographer then you can create galleries with all the amazing pictures you have taken. Your site visitors can browse your photos and purchase them. Sell PC desktop wallpapers from your own website. Q) Does the photo seller allow you to sell both digital and printed images? Q) I sell printed photos, so can I have varying sizes and prices? A) Yes you can. The plugin is designed to cater for physical and digital variations. You can enter as many variations with different pricing options as you like. Q) Do I need to use any other gallery plugin with the photo seller? A) No, you do not need any other plugin with the photo seller. 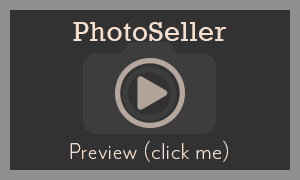 The photo seller plugin handles everything to do with selling your photos. Q) Do I need any other plugin to use the photo seller? A) No, The Photo seller is an all in one solution for selling your photos. Q) What WordPress themes can I use? A) The photo seller plugin works completely independent of a theme. So you can use any theme you want for your site (free or premium). Q) The images in the gallery are not high res images. So how does that work? A) You upload your images (with the best resolution) when you create the gallery. The plugin dynamically creates all the different resolution it needs from there. Q) Can I bulk upload images/photos to create gallery? A) The plugin uses the WP native “drag-drop” media uploader to upload the images to your site. Although WordPress doesn’t really impose any limits on media uploads, for cases where hundreds of images are being uploaded at once you may be limited by your host server configuration so that might be something you will need to talk to your hosting provider about. Q) Printed photos will need postage added – can I do this? A) The plugin has basic shipping functionality which should help with charging shipping for your printed photos. Q) Does this module create the preview and thumbnail images automatically from the photograph I upload? A) Yes, you will upload your main image(s) and the plugin will create all the thumbnails, preview and watermarked images automatically. Q) Is there any of your branding or links that my customers will see in the photo gallery? A) No, your customers won’t see our branding or links on the front end of your site or your photo galleries. Q) Is there a way to have a password-protected area for clients to view galleries and place their orders? A) You can edit a photo gallery and password protect it. When a gallery is password protected, only the user with the password can view and purchase images from that gallery.